Few Japanese born in the Meiji period lived long enough to see the dawn of the Reiwa era, but those that did offer a glimpse at past generations while providing context for the next. Indeed, era names, or "gengo," have come to represent the generation of people that lived through them, unlocking bygone memories -- some painful, some joyful, but all very personal to those who experienced them. 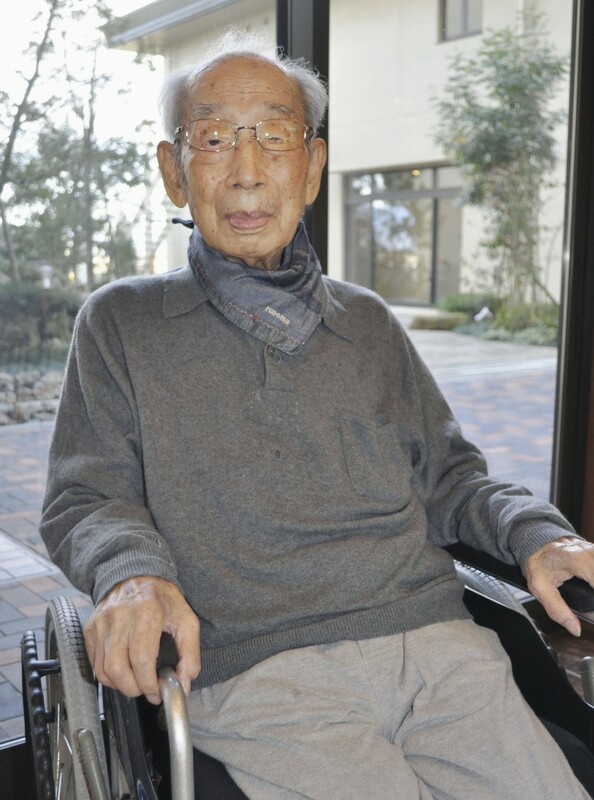 Jiro Usui, a 108-year-old former physician, was born in 1911, the 44th year of the Meiji era, in Ogaki, a city in the central Japan prefecture of Gifu. The Taisho era began in 1912, the same year the Titanic sank after a fateful collision with an iceberg during her maiden voyage. Just two years later saw the outbreak of World War I, when Usui was just a toddler. "The Taisho were the best years (for me). I could play until my heart was content. But the impact of the war wasn't very good," Usui said. He was 15 in 1926 when the Showa era began. In 1941, Usui's younger brother set off to fight the Allies in the Pacific War and after he was killed the family only received a wooden box containing stones, as was the case for many Imperial Japan soldiers who died in the war. During Japan's economic boom period between the post-WWII era and the 1970s, Usui worked as the director of a health care center, and after retirement opened an internal medicine clinic. He was 78 when the Heisei era began in 1989 and he worked until the age of 105 as a physician treating patients in his region. "The best thing (about the new era) will be everyone in the next generations enjoying life," Usui said. Although still haunted by memories of the war, he believes the choice of Reiwa as the era name, with it using the Chinese character "wa" for peace, is a sign of the good things to come. "It's about protecting the peace, isn't it?" he posited. Motome Hirata, who lives in Matsudo, Chiba Prefecture, was born on a farm in Ueda, in central Japan's Nagano Prefecture, in 1906. The 39th year of Meiji, it was the same year that celebrated author Natsume Soseki's "Botchan" was first published. 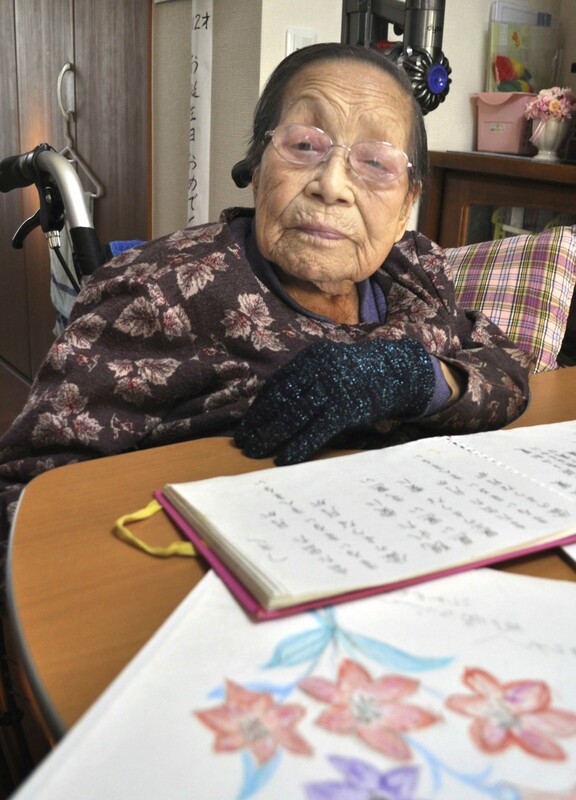 Hirata, now 112-years-old, always had her head in a book as a little girl. She married into a family of silkworm breeders right when raw silk prices collapsed in the aftermath of the Great Depression. Struggling to make ends meet while raising four boys and two girls, she regularly worked from dawn to dusk. She would find respite from work by reading a form of Japanese classical poetry known as tanka. During WWII a local women's association to which Hirata belonged prepared paper lanterns for use in morale-boosting parades. But the bad times outweighed the good as she also witnessed unbearable sorrow such as when a neighboring soldier's entire family committed suicide after the war concluded in 1945. "It was particularly sad because there was a baby (in the family)," said Hirata. Although Showa was a period of intense work, Hirata said her life changed for the better during the Heisei years, starting in 1989. She started participating in tanka poetry club readings and developed a passion for drawing, among other hobbies. She moved from Nagano to Chiba, where she currently lives in an apartment with her daughter who is 74. Asked about Reiwa, which is the first of Japan's imperial eras to be chosen from a traditional work of Japanese poetry, Hirata said, "It's wonderful," adding that given her background in poetry she was aware it was derived from the "Manyoshu." Expressing hope for the new generation and the new era beginning on May 1 with the ascension to the throne of Emperor Akihito's son Naruhito, Hirata said, "I want the world to become a better place.